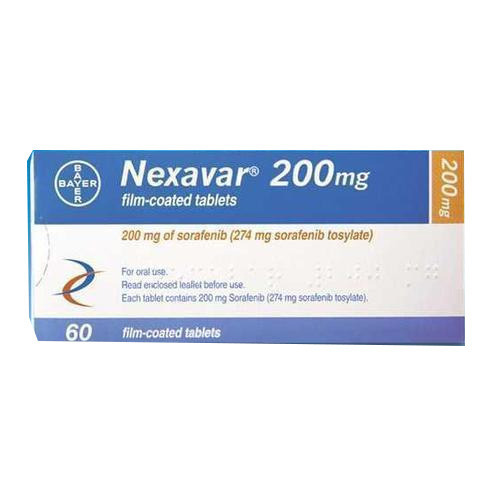 Nexavar 200 mg. contains Sorafinib.Tablet Nexavar is specifically indicated for the treatment of advanced renal cell carcinoma and Unresectable Hepatocellular carcinoma. Sorafinib is used for the treatment of primary kidney cancer (advanced renal cell carcinoma) and advanced primary liver cancer. Note :- nexavar is a prescription drug and should be used under proper medical guidance and advice. Do not share the medicine with others, since they may be suffering from a problem that is not effectively treated by this drug.